Converted to black and white using onOne. 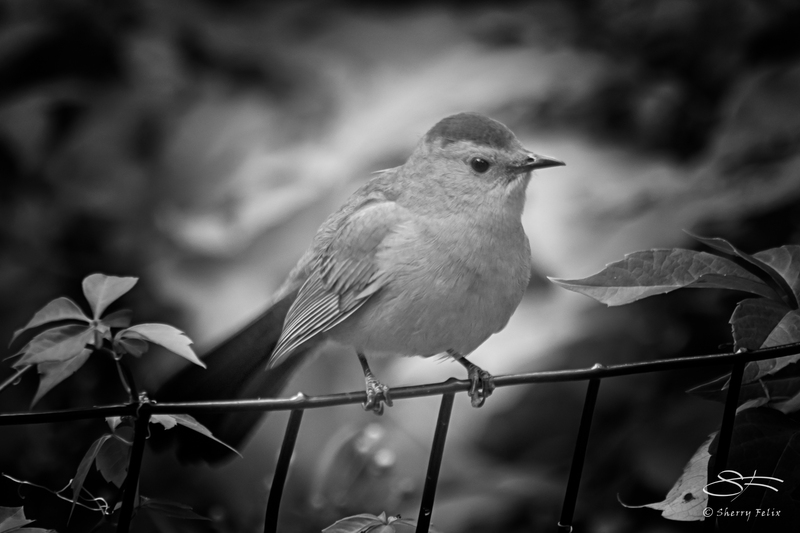 Nice shots – I haven’t tried any bird photography yet myself. I can imagine it being a lot of fun but it probably requires a lot of patience. Thanks Norm. It isn’t hard to make photos of birds but it is very hard to get sharp ones. The little buggers tend to move and they are often far away. I’d say I average one decent one in a hundred. On bad days I save nothing. I use a Sigma 150 to 500 mm lens on a Nikon D750 with a monopod. Very pretty! 🙂 Sometimes small is big! Oh wow, this one threw me for a loop, Sherry. 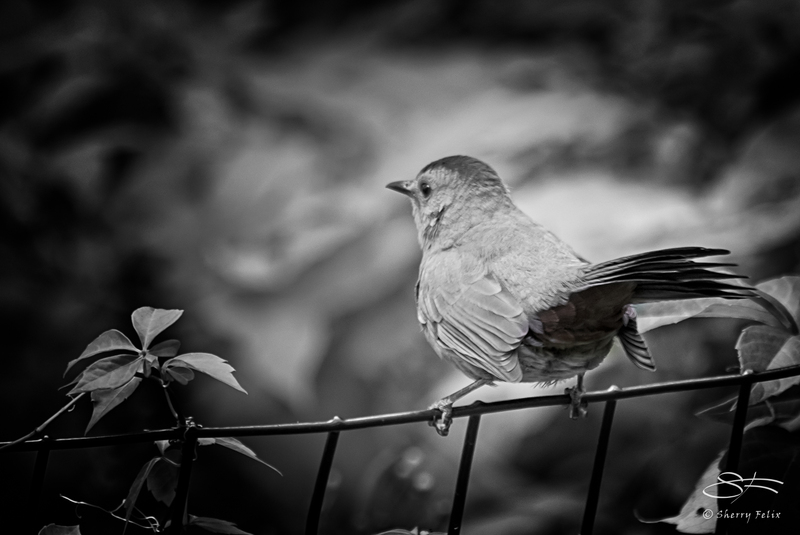 Changing it to b/w gives the bird an entirely different look. But the characteristic tail tells all. Fascinating. Glad you like my experiment. If you look closely, I brushed back a little red under it tail. Nice shots of a sweet bird!